Size 8 3/4″ x 5 3/4″. Bonded black leather. 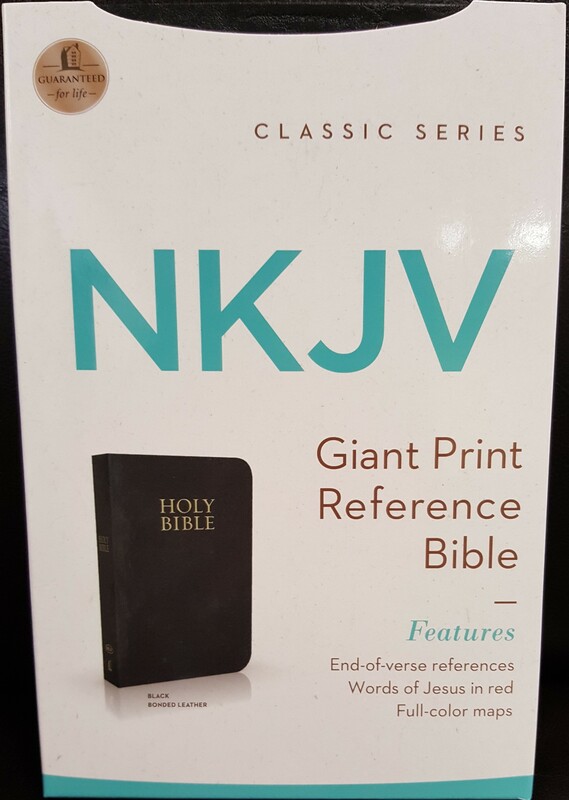 This New King James Version of the Bible offers giant 11 pt. print for readability, quality bindings, and a size that is supremely portable. Features: book introductions, end-of-verse references, New King James translators’ notes, marginal stars to indicate Messianic references, words of Christ in red, concordance, presentation and family record section, full-color-maps. 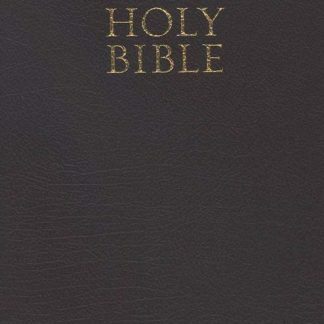 Black bonded leather – gilded gold page edging, 1504 pages.